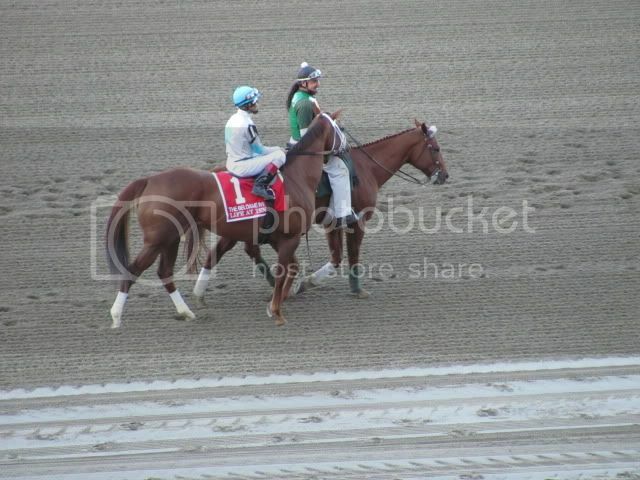 Just a few days after they broke ground at Aqueduct the purses have greatly expanded at Belmont. 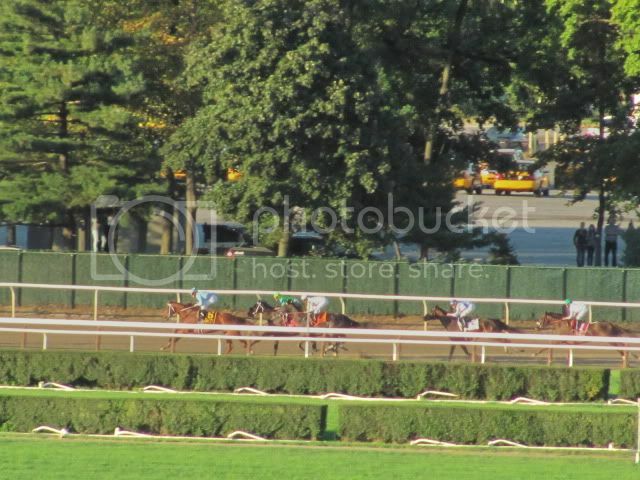 NY bred allowances are running for $56K. $7.5K claimers run for $31K and maiden specials are no $62K. These are tremendous purses. It is no wonder that the entry box has overflowed all week. 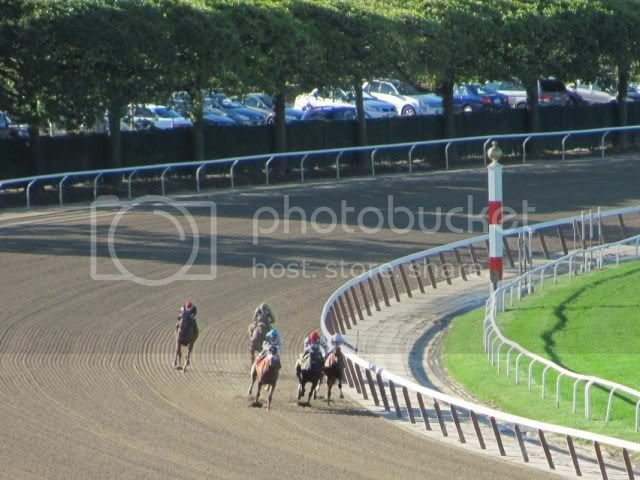 Yesterday a N3X/75K open (race 7 29OCT10) allowance going long oversubscribed; this was the kind of race NYRA had trouble filling for the last 8 years. 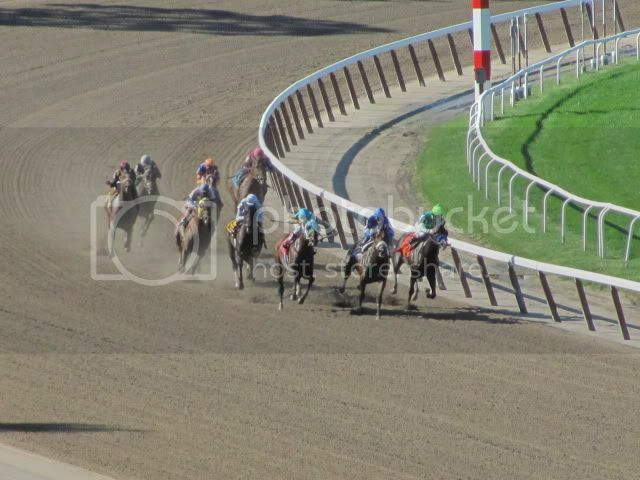 If first impressions hold, this casino subsidy could mean great things for New York racing. With the Breeders Cup program ten days away it would be in the best interest of anyone handicapping the event to start looking through the charts of the prep races that were run earlier in the month or in the past two months. There is only one contender using this race as a springboard to the mile and it was the winner, Proviso. She has had a remarkable season with four straight grade one wins including a win in March against male competition. Later on that same card the Shadwell Mile was run with the final time 1/5 of a second slower than the First Lady and a slightly slower last quarter of a mile. From what my figures show Proviso ran a her final quarter of a mile five lengths faster than the average for the Keeneland meet, while not lightning fast she ran faster than the average and could be worth using in the exotics. Gio Ponti won this race with a closing kick of 23 1/5 seconds which seems fast on paper, but the average final quarter for mile turf races at Keeneland has been 23.7 seconds. From the looks of it he was life and death to catch the leader Courageous Cat at the 1/16 pole. He is being considered for the classic as well, which would be a tough mountain to climb with all the top tier dirt horses signed on and the mile would be a better spot to show his talent. Courageous Cat may be worth a look at a price for the Mile, he may have moved too soon in this race and could have been short on stamina for this effort coming off of a March layoff. With a race under his belt for the mile he could be a horse that sneaks into the picture as a nice paying longshot. Girolamo won this race coming off a disappointing effort in the Forego up at Saratoga and did so by shaking off the challenge of Riley Tucker. 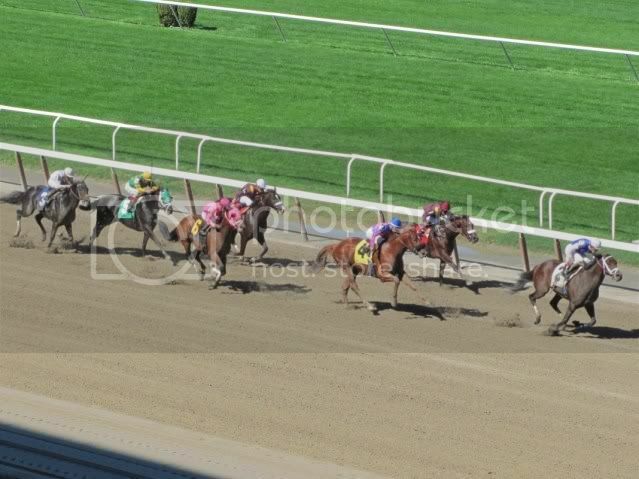 This race came up very fast against the average times for six furlongs at the Belmont fall meet, nine lengths faster than normal on my numbers. 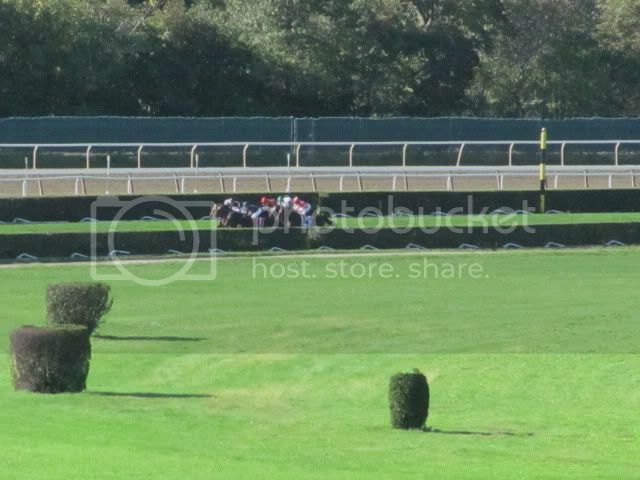 The field he beat was probably not the most stellar though, the group assembled for this race was zero for their careers in grade one company and Driven by Success lost last weekend against state bred runners at Belmont. Synthetic racing usually produces lots of times that deviate much from the average times, Smiling Tiger’s win in this race has been the fastest race of the meet by a lot. His half mile time was 44.53 and the meet average has been 45.93, his finish was clocked in 1:09.17 and the average for ¾ of a mile has been 1:11.11. This race did not get a high beyer speed figure either with a 103, there could be value to be had with this horse. If he can transfer his form to dirt from the cushion track he will be a menace to his east coast counter parts. There are very few things that are certain in horse racing, one of which is that Pletcher will be represented in every race throughout the two days of the Breeders Cup program. He has operations set up in every region of the country so the odds of him not having a horse entered in each race are highly unlikely. 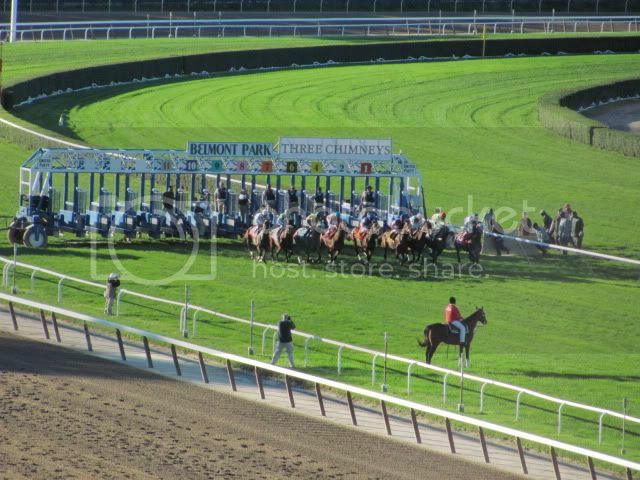 The area where he has his premier group of runners stationed is the east or more specifically New York. He campaigned Quality Road exclusively on this side of the country along with Life at Ten and Uncle Mo, all top win candidates in their respective races. Uncle Mo is short on racing experience with only two starts to his name, but long on reputation at this point with a dominating debut victory and an authoritative win last out in the Champagne. There are some issues that keep him from being a prohibitive favorite though, first of them being that both of his wins were over extremely fast surfaces. His win on Travers day was over a surface that was at least a second faster than usual and there were two races at six furlongs that finished up in 1:09 and change. 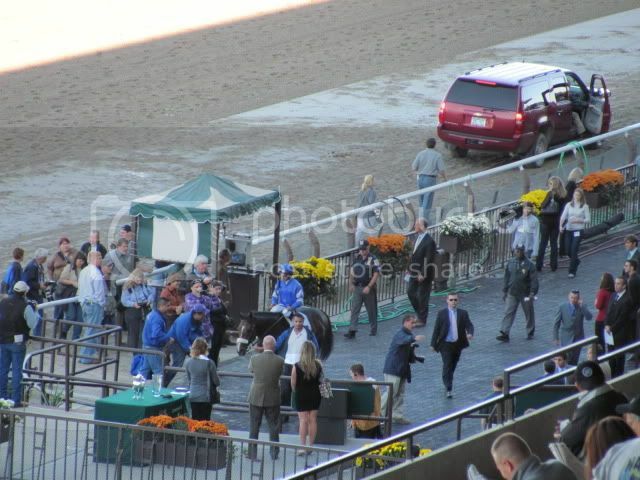 The Champagne was contested after the Frizette, which had a final time of 1:35 3/5 and the Champagne was run in 1:34 2/5. The track variant for that day for the two routes were a 12, which is far lower than the 23 average that the meet has had so far. He will likely go off a short priced favorite in the Juvenile and his odds will probably be far lower than the acceptable value one can take on him. 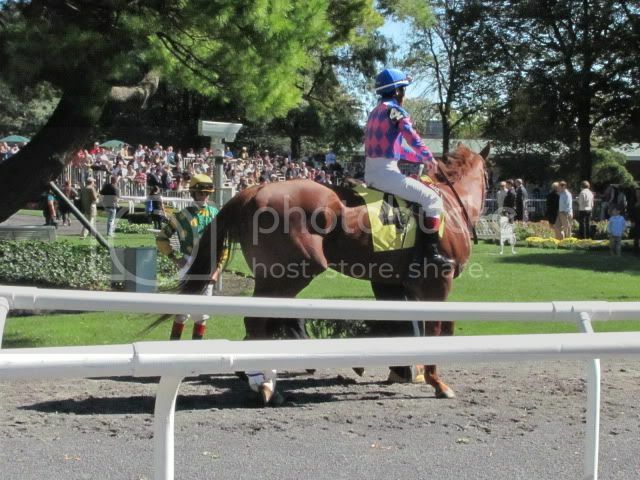 Quality Road ran some scintillatingly fast races earlier this year with wins in the Donn and Metropolitan Handicaps, his last two efforts at Saratoga leave something to be desired. 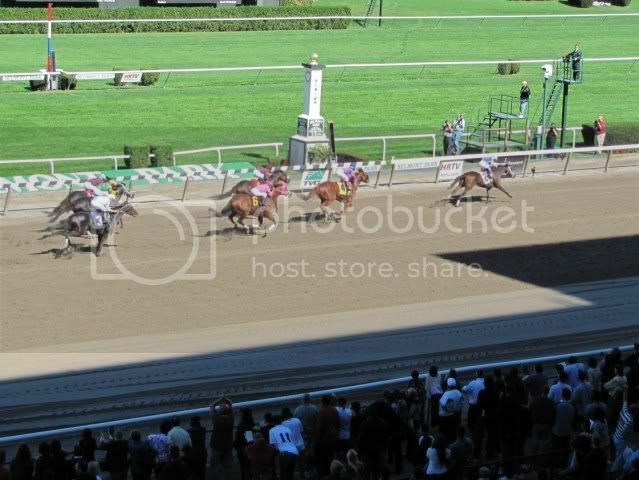 He set a mild pace in the Whitney Handicap and was narrowly defeated by the closer Blame and the Woodward he beat a weak field in a workout-like time of 1:50. They have had him training up to the Classic since his last start in early September and one has to wonder if the 1 ¼ miles is appropriate distance for this horse. His best races have come either at a one-turn mile or two turns going 1 1/8 miles. In fairness though his two tries at 10 furlongs were over sloppy surfaces chasing Summer Bird. Blame, Zenyatta, and Lookin At Lucky will likely lead the cavalry charge going into the stretch and a horse like Haynesfield on the lead will certainly make things harder for Quality Road in his attempt to win the Classic. Life At Ten has been a gem of consistency for Pletcher with five wins out of six starts in and no off the board finishes this year. 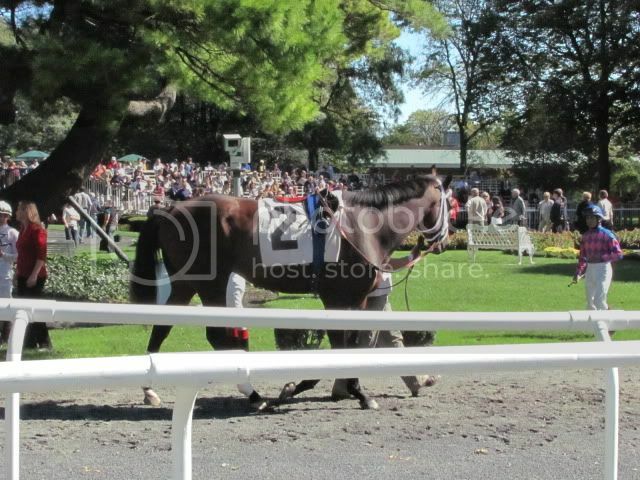 Her only loss of 2010 was the Personal Ensign where she dueled with Rachel Alexandra. She rebounded nicely from that defeat with a win in the Beldame though. The noticeable thing of her last race was her ability to stay a length or two off the leader while riding the rail and making a run at the top of the stretch after waiting to be called on for 7 furlongs. Her chief opponents in the Distaff are a pair of three year old fillies that will likely take a lot of support, Havre de Grace and Blind Luck. They have battled each other in three straight races, all of which had a combined winning margin of less than a length and will have to face older females for the first time. Out of the all the high profile Pletcher horses that will run Life At Ten may offer the best value from a win betting standpoint. Looks like a power play on #5 Frances Gardner. Love the maiden breaker and the " sweeping move". 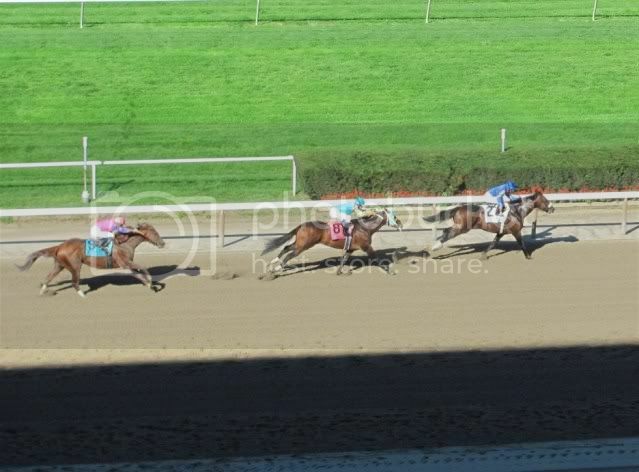 This is the type of gambit that wins flat mile turf races at Belmont. I have a hunch that she will love it here and the price should be right. Willing to forgive the stakes try and the clunker on the speed favoring Spa turf. Belmont will be much more friendly to her closing style. Could this be for real? 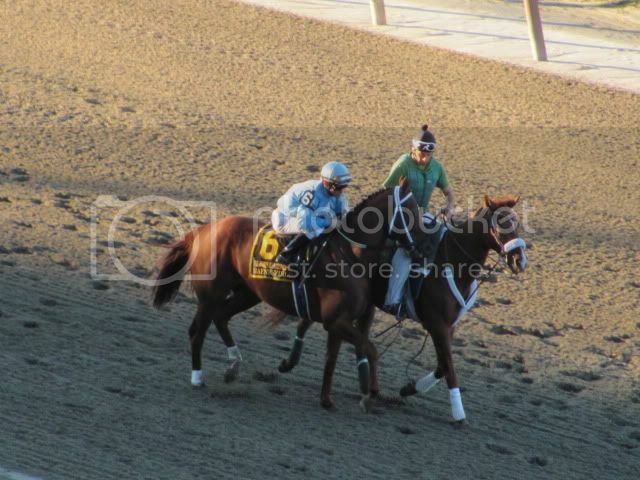 After a three year layoff Bold Hawk is nominated to the Knickerbocker next week. 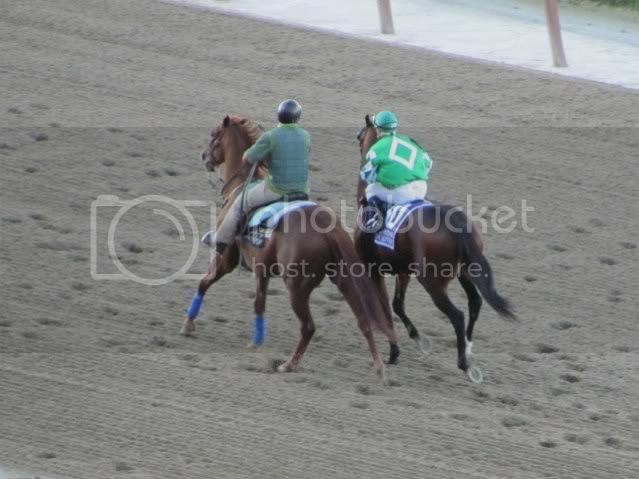 After scoring in the Hawthorne Derby (video at link)Bold Hawk has not been seen during the afternoon since finishing third in the 2007 Hollywood derby. This would be one of the more amazing stories in racing if this gelding made a successful comeback after a three year layoff. This is a huge gelding with a long stride. He was poised to become a force in turf route division. He showed great promise as the three year old. Can he make it back after all this time? 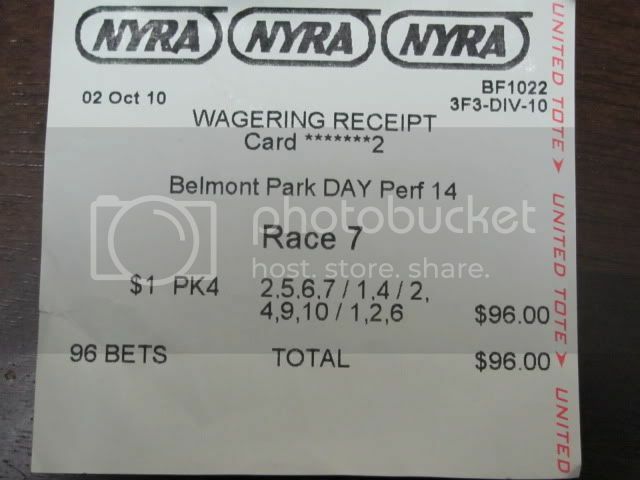 That first picture is of a group pick four ticket that Greg and I were involved in along with another racing fan, it was a hell of a score. Haynesfield was in control from start to finish, he is a beast at Belmont and giving him an easy lead is akin to giving away the race. Haynesfield's resume at Belmont now includes the Empire Classic, Suburban Handicap, and Jockey Club Gold Cup. Blame was closing late, but the race was over at the 1/8 pole. Rail Trip took a ton of late money after opening up at 9/1 and showed nothing. Winchester is having a career year with his second high profile stakes win, this time at the expense of Paddy O'Prado. 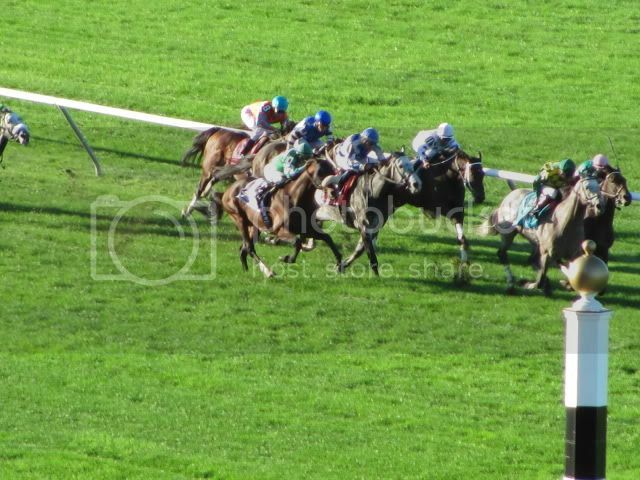 Winchester waited to make his move with less than a quarter mile left and Paddy O'Prado was already in full flight at that point. Paddy O'Prado may have moved too soon at the top of the stretch and had nothing left to fend off the late challenge of Winchester. Life At Ten laid off the pace set by Queen Martha and rolled by Unrivaled Belle to win easily. Unrivaled Belle runs her carousel streak of not passing a horse during a race to three straight. 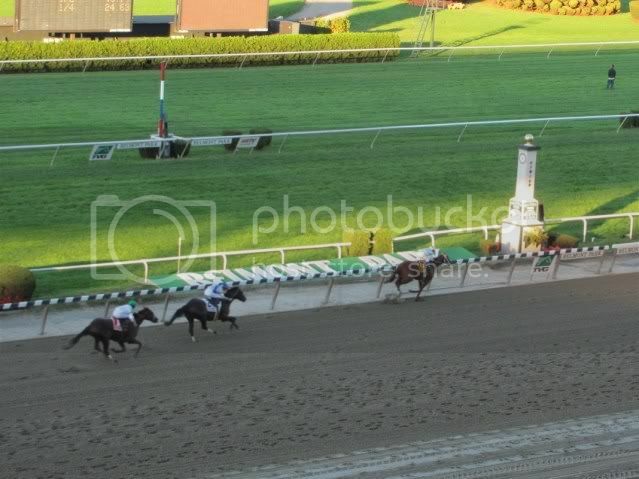 Persistently was bet down to 5/2 after her upset score over Rachel Alexandra and did very little other than passing tired foes to get up for third. 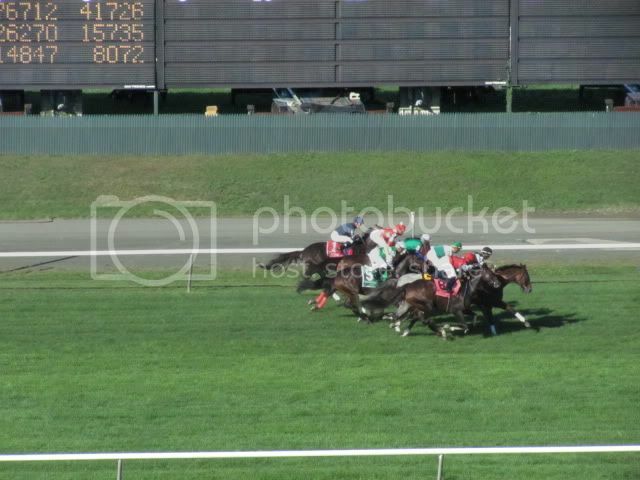 The last horse to move was the one to win this race, this field was tightly grouped for most of the 1 1/4 miles. 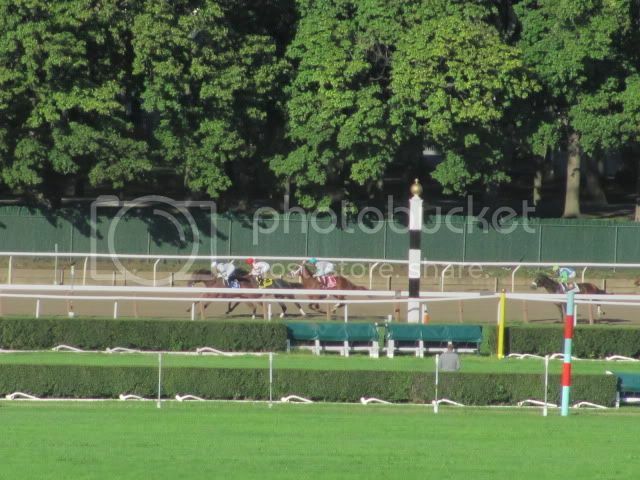 Ave had to wait for an opening inside the 3/16 pole to make her run to victory. Changing Skies was the toughest of tough luck losers you will ever see, after clearing Japanese import Red Desire she looked home free only to get nailed at the wire by Ave.
Godolphin Racing LLC got its first grade one of the year with Girolamo and they have two options going forward from this race, the Breeders Cup Sprint or Dirt Mile. Seeing how his best races were at a one turn mile, the flat mile of Churchill Downs is a better option. 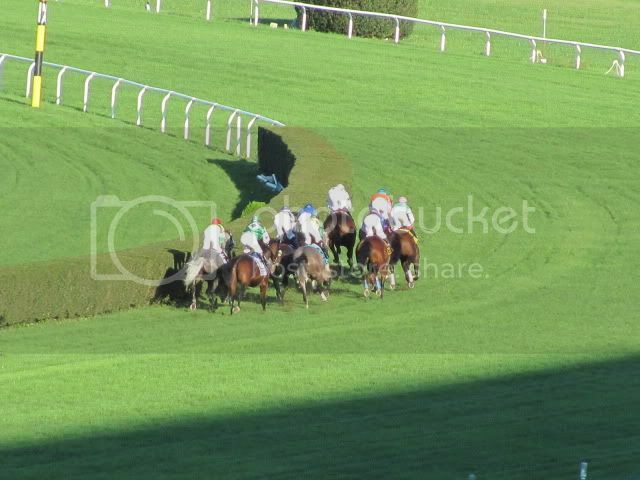 This stakes field was filled with some nice horses, but they were not world beaters by any measure of the term. The field's record in grade one competition was 0-16 going into this race. The unofficial horse of the Power Cap, Stormy's Majesty ran valiantly in defeat against a quality field of three year olds that are likely going to the Discovery stakes at Aqueduct. The Empire Classic against NY breds at the end of the month would be a sensible spot for Stormy's Majesty. Colizeo showed a different dimension with the ability to close yesterday, he may be one to watch out for late in the season and as a four year old. The ghost of Arromanches returns. 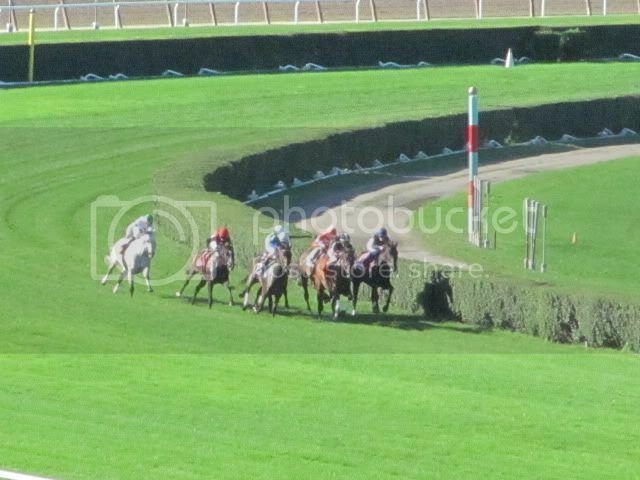 #6 Caixa Electronica seems to be the first horse sired by Arromanches -the gray win machine- to run in New York. The connections take a leap of faith and enter this horse in the grade II Kelso stakes. He will need to run the race of his life but crazier things have happened at Belmont. If Caixa Electronica has a a heart anywhere near the size of his daddy he should be okay. The owners of Arromanches left this comment earlier this year on a previous post. My father and his partners own Arromanches. He is still every bit of amazing now as you remember him years ago. I just found this article and it is wonderful to see that people around the country remember him. Arromanches looks like a million dollars and has thrown some fantastic babies. I also agree that he is one of the most underrated Active Stallions. There will be several babies of his on the ground next year. If there is any interest in breeding to Arromanches next year or purchasing a baby of his you can contact me at lehman_lane@yahoo.com and I can forward the partners your information. With the state of American sports I have almost entirely withdrew from TV viewership. There was a time when grade one races were on TV- certainly the big "super Saturday" at Belmont would have a two hour show on broadcast TV. Those days are over. Racing does not sell cars or beer and the advertisers know it. The shows that are at the forefront -American Football- are there primarily because they are great vehicles for advertising. The will of the people is bent to accommodate what advertisers want. If these shows are on primarily because they suit what advertisers want, why are they so successful? Am I alone in being disappointed in the public? This is supposed to be a democracy with an active and informed public. Yet this public just follows suit with what advertisers want with very little distention. There used to be so much diversity of sports to chose from. There seems to be a macro-trend of consolidation and sports are following the trend. Almost like a dog being walked on a short leash the public seems to be under a common and well tuned yoke. They are turning increasingly to American football here in the states with little variance. Technology is able to bend the will of the masses to keep them herded in a way that will produce the best yields for the networks. If TV can't do all of the herding fantasy sports will complete the job. From my observations it seems like these fantasy games are a real obsession for many and tie in with the smart phones to provide nearly constant mental masturbation. The difference from five years ago is the total and complete mental masturbation provided by smart phones. Take away those devices and the public has a diverse interest allowing a place for sports like horse racing or volleyball. Is American football really that interesting that it should dominate like it does? There is so little action and so many commercials. While this sport may be massive down south it is not that popular in my region. As a northeast urban "guido" I don't see many of my people out there playing this sport. What percentage of adults actually play this game? It seems to exist on TV alone. Even without a cultural or personal connection many of my co-workers and neighborhoods spend their weekends watching these games. You would think that there would be a large scale exodus of the public from sports viewership due to alienation but it seems like it is not happening. Instead of people dropping out because the sport they has dropped out they are changing their taste to match what is being offered. The niche sports -horse racing and handball are my two personal faves- seem to be occupying a smaller and smaller space. With little to no mainstream attention many sports seem destined to disappear in the near future. Six out of eleven races are stakes races and five of them are grade one events. Five out of six stakes races are in consecutive order and a pick five would be a nice wager to have on the menu for this day, alas it isn't an option. 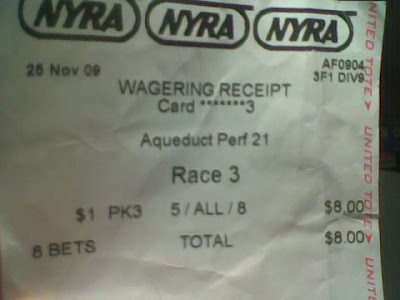 NYRA is the last to make any kind of innovation to the wagers being offered, they were one of the last circuits to add a dime superfecta after almost every other track did. An all stakes pick six is an option they could have used though, it is a novelty to have more than two stakes races on a card and much rarer to see six on the same day. NYRA tracks offer an all stakes pick four when there is four of them on the same card, might as well go for the gusto with an all stakes pick six. Stormy's Majesty is in this race, this has been the Power Cap's go to horse for bankroll enhancement the last few months. Not sure what Greg's thoughts are on this race, but from the looks of it Stormy has a good chance to win in this spot. Jackson Bend will be a tougher opponent than Ibboyee, Jackson Bend has faced the best of his generation throughout the first half of the year and his fifth place finish last out doesn't look so bad considering the fact he faced the Travers winner in that spot. Callide Valley probably won't win in this race, but this horse looks like a bargain at the $25,000 he was claimed for two back. 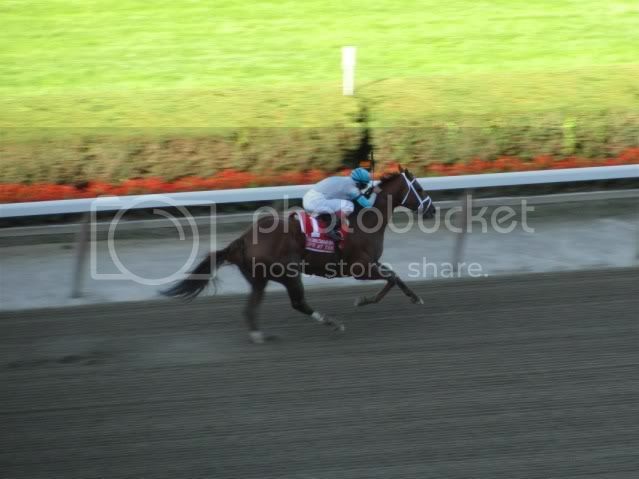 Last out he got up for second in a fast race against grade three winner Mr. Fantasy. In the last couple of years this race has featured short fields with extremely short priced favorites on the tote. This year there are nine entered and no overwhelming favorite in the field. Girolamo will probably end up being the favorite due to his connections and record over the surface. Driven by Success rates a look in this race, he wins over this track and has shown three straight good efforts minus the front wraps. Snapshot has had his best efforts over the Belmont surface and was not that far away from winning the True North Handicap back in June. Temecula Creek may be a live longshot, the Vanderbuilt came up a fast race with some quality runners in that race. This is probably a spread race in the pick threes and doubles. Shared Account ran a solid race in defeat against Proviso last out and shipping up from Fair Hill for Graham Motion nothing but a plus. Forever Together fired a bullet to get ready for this race, the last time she ran a good work like this in preparation for a race she ran third beaten less than a length in the Diana. In her most recent start Keertana was racing near to Forever Together until the half mile pole when she accelerated to the lead. If Red Desire runs anywhere close to her form from Japan everyone else is fighting it out for second money, she ran third in the Japan Cup and was 6-1 in the Dubai World Cup. 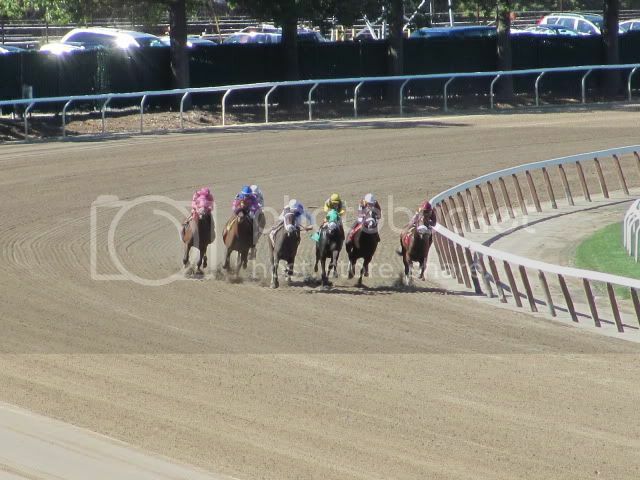 Life At Ten won't have to deal with Rachel Alexandra in this race so the pace should not be a problem here. This mare was running on the inner track during the dead of winter and is a near millionare now, Fleet Indian pulled the same trick during the 2006 season as well and was also trained by Pletcher. Unrivaled Belle is a frustrating horse to watch, she has talent and showed it in her two early season wins, one being a win against Rachel Alexandra. Her last two races as the heavy favorite she sat second the entire trip and could not pass the front runner, going back to last year in the Gazelle she chased Flashing the entire way at short odds. Persistently will probably take a ton of action off her last race where she had the perfect trip, that win was reminiscent of Storm Flag Flying's win in the 2004 edition of the Personal Ensign. Paddy O'Prado steps up to the older male competition and goes 1 1/2 miles for the first time. This seems like the spot to bet against a horse like this, Winchester is worth a look in this spot. The distance won't be a problem with a recent win going 12 furlongs and almost winning 1 3/8 miles Bowling Green, he has a recent Grade one stakes win and shows steady form as well. Chances are this race going forward as a Breeders Cup prep won't be a strong race at all. Blame has some solid competition here with Fly Down and Rail Trip entered. Rail Trip has been working regularly for Dutrow with this race in mind and Dutrow has phenomenal numbers with horses coming off an extended break. Fly Down drilled a four furlong work in 46 2/5 for this and anytime a closer puts in a fast work it usually means they are ready to roll. On paper there seems to be a lack of pace here, the only one who shows any kind of early speed recently is Haynesfield and Rail Trip. Blame is the front runner for Horse of the Year honors off of three starts and if he wins his next two starts it will be hard to deny him the award. He will not be the lightest raced horse to win this award though, that distinction goes to Ghostzapper with only four starts capped off with a win in the Breeders Cup Classic.